Our next meeting will take place on Friday 25th May, at Blackrock Castle Observatory, starting at 8.00pm. 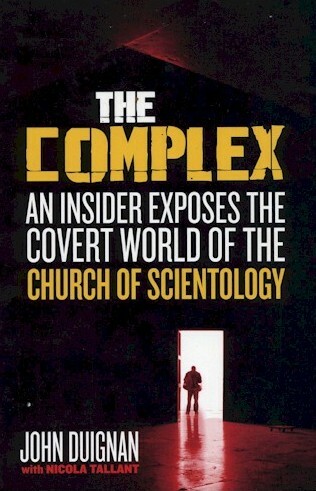 The talk is by John Duignan, ex-Scientologist and author of The Complex: An Insider Exposes the Covert World of the Church of Scientology. About The Speaker: John Duignan (born 1963) grew up in both Stirling in Scotland and in Carrigaline County Cork. He had a difficult and troubled childhood thanks in part to a mentally ill father, an ill and abused mother and the chaotic home life that resulted. Following the publishing of The Complex, John returned to education completing a BA in English and Italian Literature and Italian language at University College Cork. 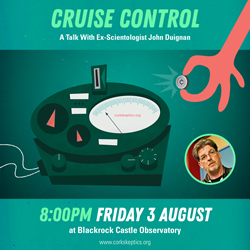 Categories: Books, Events, Pseudoscience, Psychology, Skepticism, Skeptics In The Castle, Woo | Tags: blackrock castle observatory, book, celebrity, church, cult, e-meter, expose, john duignan, libel, poster, religion, scientology, skeptic, skeptics in the pub, tom cruise, woo | Permalink. Skeptics In The Castle Returns! 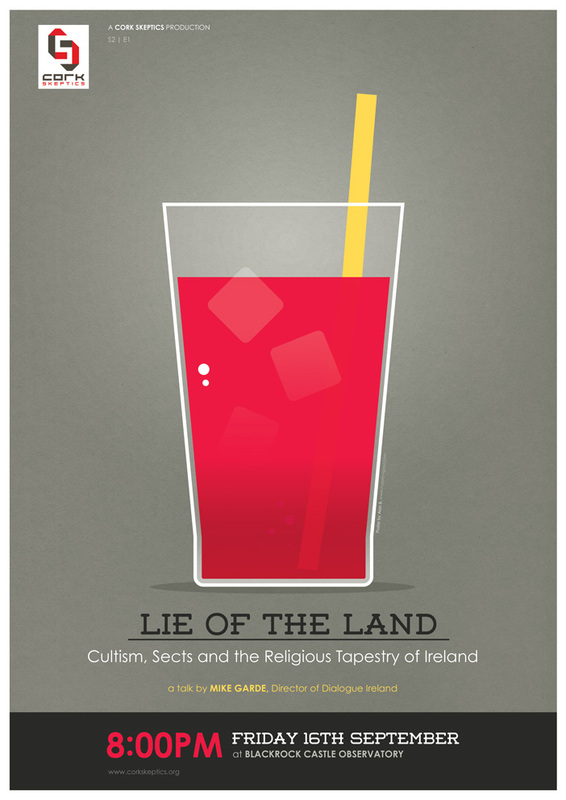 Mike Garde of Dialogue Ireland Talks Cults, Sects and the Religious Tapestry of Ireland. We’re back after the summer break, and will host our first talk of the new season on Friday 16th September, at Blackrock Castle Observatory. This talk is by Mike Garde of Dialogue Ireland, and is concerned with cults, sects and religion in modern Ireland. 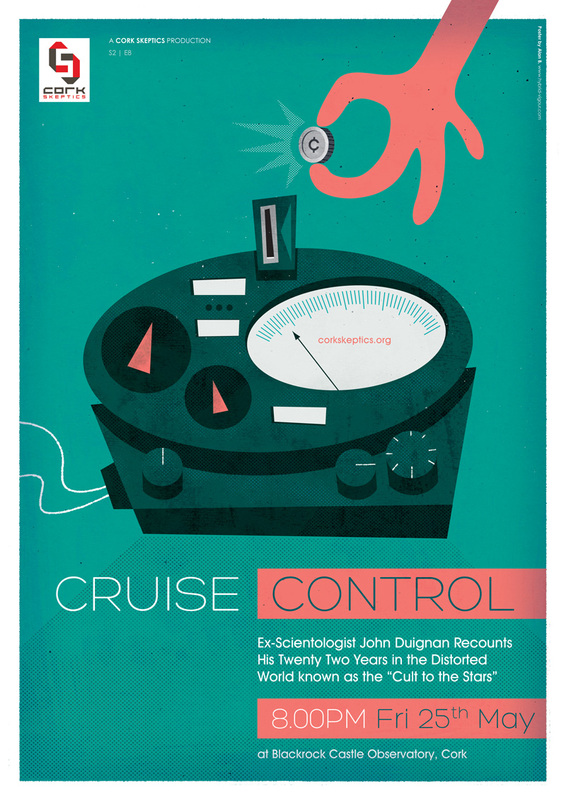 Mike will describe how he got involved in this area, and will recount his first-hand experiences with Scientology, the House of Prayer and Tony Quinn, among other topics. The talk will start at 8.00pm, is free to attend, and all are welcome. For directions to Blackrock Castle, see our Skeptics In The Castle information page. Categories: Events, Pseudoscience, Psychology, Skeptics In The Castle, Woo | Tags: cultism, cults, dialogue ireland, house of prayer, kool aid, mike garde, religion, scientology, sect, tony quinn | Permalink.